How Do I Determine The Best Abs Workout For Me? It can be difficult for some people to find the best abs workout because we aren’t all built the same. Sure, generally speaking we have many structural similarities, but depending on your fitness level, goals, etc. your body is not the same as the person standing next to you. That makes it hard to have a one-size-fits-all routine. Yes, people can give suggestions on exercises that really target the abdominals when done properly, but who is to say that exercise A is better than exercise B? What it really all comes down to is a pair of critical factors: function and feel. Before we get more into figuring out the best abs workout, let’s look at the function of the abdominals. It is not to flex the spine as many people think. While they can do that, the primary job of your abdominal and core muscles is to stabilize the spine and keep it safe. If you didn’t have those muscles in place then gravity would cause you to fold over. So while the idea of crunching the abdominal muscles does work them to an extent because as you round the back they do contract, if you really want the best abs workout you need to focus on stability strength for the entire core primarily with any crunches being secondary. Getting in touch with your muscles takes time. The longer you lift the easier it becomes as you foster a mind-muscle connection. Part of creating that connection is learning proper form to help engage the muscles. A second aspect is doing reps slow enough and long enough to activate fibers and feel the effects in your nerves. Have you ever noticed someone just cranking out a set of anything quickly and sloppily? That does not foster that connection. 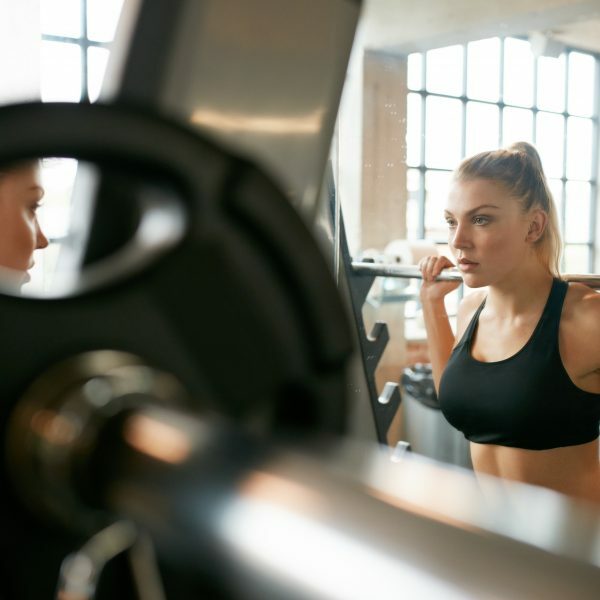 On the other hand, working a set diligently, on a steady pace to complete burnout requires more concentration and work from the muscle and repeatedly doing that fosters a critical connection that in turn allows you to work your muscle more effectively. You then “know” when something works as you are doing it. Getting to this point is a key to discovering the best abs workout. Because then as you are doing an exercise, or any exercise, you can feel how slight positional differences work the muscle and gauge the effectiveness of one exercise over another. This routine is very solid and effective. It also works across the two ideas of function and feel .By doing this routine we work on stability and contraction and exercises are performed in 30 second blocks which helps foster that connection so you can feel it. Plank on Elbows – Assume a basic plank position (like a push-up but resting on your forearms). Keep your body in a straight line and hold for 30 seconds. Keep those abs tight the entire time. Rest 30 seconds then do a second set. Knee Thrusts – Assume a push-up position but with your hands on a flat bench. Slowly thrust your right knee towards your chest. Pause and then reverse the motion. Alternate legs each repetition. For added difficulty try and touch your knee to the opposite elbow. Do a 30 second set, rest for 30 seconds then do another set. Side Plank – This is like a regular plank but you are on your side supporting weight with a single forearm. Again flex the abs and core then hold position for 30 seconds. Switch sides to work the other side for 30 seconds. Without resting switch back for 30 seconds and then do the other side for 30 more. Jackknife Crunches – Lie flat on your back with hands touching and arms raised overhead. Now using your hips as the fulcrum raise your legs off the ground while crunching your upper body to bring your hands toward your feet. Touch in the middle then slowly lower. Stop with your hands and feet a few inches off the ground and do another repetition. Again do this for 30 seconds, rest 30 and then do another 30 seconds. While this might not be the best abs workout, it is pretty good. After doing it for a few weeks you should feel more in-tune with your core muscles and then be able to branch out trying variations and other exercises to see what gives you the best results.